The bird has a parachute! 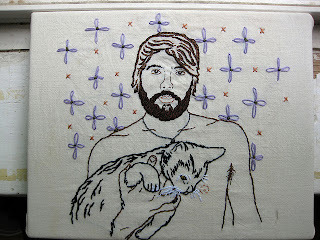 That was enough for me to be totally intrigued with this piece embroidered by Moorea (aka Drama-Club on Flickr), So I went to investigate further and discovered that Moorea has made many more striking pieces. 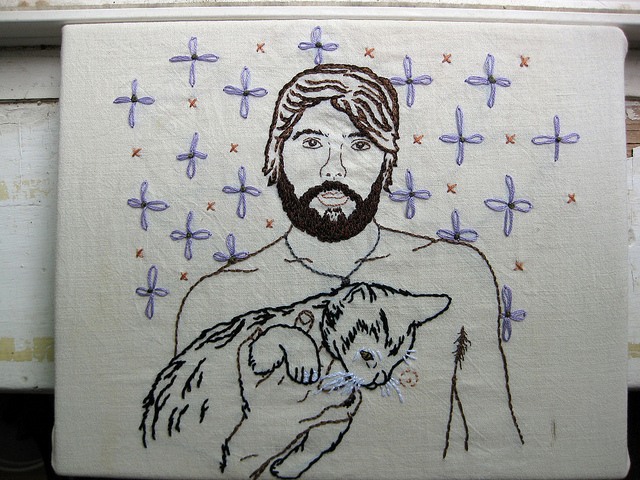 How about this embroidered Double Portrait? It comes to me as no surprise that Moorea is also a tattoo artist. Because aspects of her 'other needlework' shine through in the bold lines and strong images of her embroideries. I can't wait to see more inspiring work from this talented artist! I just love the little bird! 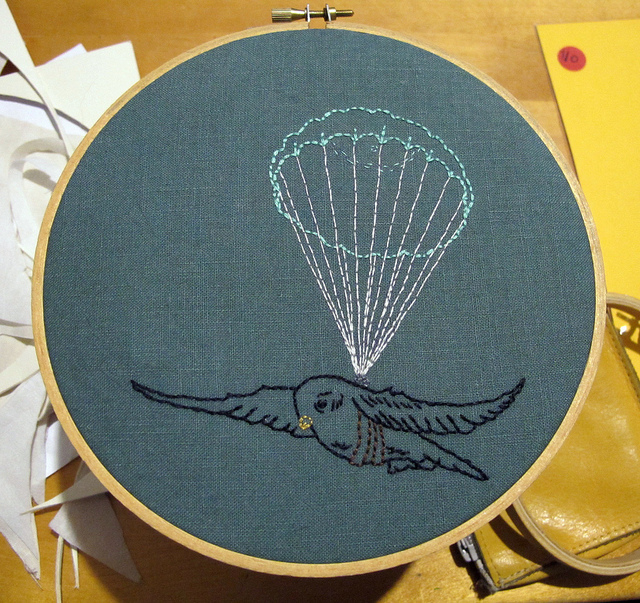 i love that bird + parachute embroidery! so simple yet so darn cute!